UpdraftPlus is a premium WordPress plugin that automates WordPress file and database backup as well as restoration to the cloud. The free version prior to 1.9.51, and versions without the “automatic backups” or “no adverts” add-ons, are vulnerable to security token, or nonce, disclosure which allows malicious actors outside your company to perform administrative-level actions like downloading sensitive configuration files and uploading remote control shells. What should you do as a WordPress and UpdraftPlus user? If you’re a SiteLock customer with TrueShield, breathe easy. Thanks to the TrueShield Virtual Patching, patching UpdraftPlus is automatic. SiteLock protects WordPress site owners from the UpdraftPlus vulnerability with the SiteLock TrueShield web application firewall with Virtual Patching, regardless of UpdraftPlus version. TrueShield analyzes site traffic and stops attempted unauthorized security token use, again, even before the patch is applied. If you don’t have SiteLock, you’ll need to update UpdraftPlus to version 1.9.51 as soon as possible. With disclosure, automated attacks follow, and without a firewall like TrueShield, or SiteLock’s SMART scanner which finds malicious code as soon as it hits your site, updates are your best defense. For more information on SiteLock security solutions call 877.563.2791. There are over 1 million new strains of malware created every day. One identified infection can get your website blacklisted by Google, who currently blacklists over 10,000 websites each day. Mind you, the malware need not even be on your site. SMEs (Small to medium-sized enterprises) are unfortunately one of the largest targets of cyber attacks. 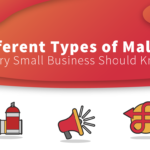 On average, over 30,000 SME websites are targeted each day, and to make matters worse, nearly 60% of their IT professionals think they aren’t at any real risk of being attacked. Is your website running off of a Content Management System (CMS) such as WordPress? A CMS can be an easy and cost-effective way to manage your business’ website, but they’re also large targets for cyber attacks. Why? Many CMS platforms and plugins are often easy targets for hackers and allow backdoor access to your server and data (a recent example of this vulnerability was the SoakSoak attack that occurred last month). Make sure your system, plugins and themes are always up to date, strengthening your web security. Many CMS solutions will even automatically update files for you, if you choose. Many web viruses and other malware go unnoticed until it’s too late, due to their elusive nature. They can often be implemented with a simple one-line script, injected into the code of your website – made to look like normal code. 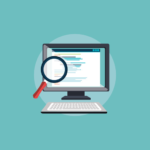 Website security scanning software can scan your website for existing malware and other harmful code that doesn’t belong, and notify you immediately of any threats. 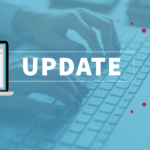 Our SMART (Secure Malware Alert & Removal Tool) software takes it a step further by automatically removing anything harmful – similar to what a virus removal software does for your PC. 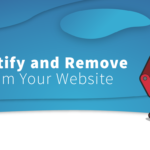 Removing existing website threats is one issue, but keeping them from coming back is another. 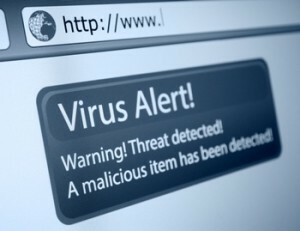 With over 1 million new malware strains created each week, your business’s website can potentially to be infected by a new virus every day. Web Application Firewalls (WAF) can help prevent attackers from even visiting your site. How do they work? Let’s take our TrueShield WAF, for instance – it evaluates traffic based on where it’s coming from, how it’s behaving, and what information it’s requesting. Based on these and other criteria, the firewall will allow “legitimate” traffic (e.g. customers and search engines) access while blocking “malicious” traffic (e.g. spam bots and hackers). Used in conjunction with a website scanning solution, a WAF can help provide around-the-clock, hands-free security for your business’s website. The Payment Card Industry Data Security Standard (PCI DSS), or PCI for short, is a security standard that businesses must adhere to if they accept major credit cards. This compliance helps ensure that your business and customers are protected from cyber attacks and fraud by providing a documented, baseline security posture for your site. Failure to comply with PCI standards can result in direct financial damages, lawsuits, government fines and ultimately ruin brand reputation in the event of a data breach. Fortunately, it’s not difficult to become PCI compliant. There are many solutions that walk you through the steps to help create your own customized PCI policy. Our SiteLock® PCI Compliance program takes it even a step further by scanning your site and network, and you can also add on our PCI-certified TrueShield firewall. Even now the world is still using weak passwords. A strong password is one that contains over 8 characters, no dictionary words, has a mixture of uppercase and lowercase letters, and includes digits and/or special characters. Unfortunately, many of those boxes aren’t checked – allowing brute-force hacking techniques (repeated attempts to login to your website) to become effective. It’s extremely important that you create a strong password for your website’s back end, since it can often times be an easy way into your private data. You should also advise your customers who have online accounts to do the same, to help protect them from future attacks. After all, it only takes seconds for a computer to crack a poorly created password. Want to stay up to date on the latest malware trends and ways to protect against them? Follow SiteLock on Twitter!